Set-up is straightforward. Simply connect a single USB cable and you are ready to go. The drive is powered from the USB cable, so there is no need for an external power supply. Plus, it is automatically recognized by Windows operating system . 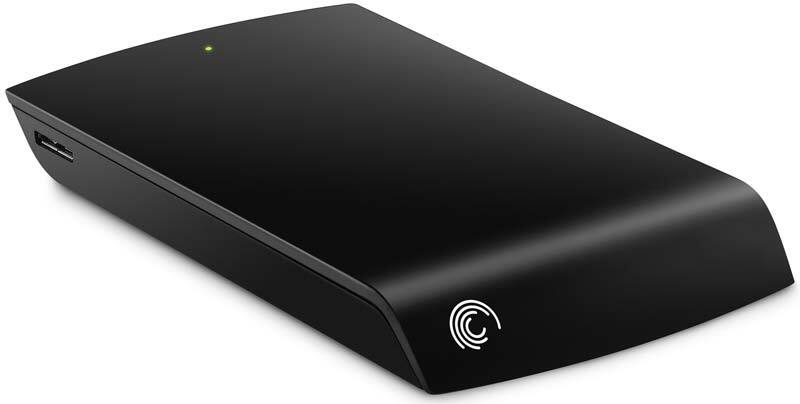 Seagate external portable drives are compact and perfect for file storage and transfers on-the-go. Instantly add up to 1.5TB (depending on model) more storage space to your computer and take large files with you when you travel. Instantly add more storage space to your computer. Set-up is straightforward. Simply connect a single USB cable and you are ready to go. The drive is powered from the USB cable, so there is no need for an external power supply. Plus, it is automatically recognized by Windows operating system, so there is no software to install and nothing to configure. Saving files is easy too: just drag-and-drop. 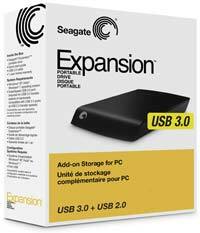 Seagate Expansion external portable hard drive, USB 3.0 cable, Quick Start guide, 1-year warranty.